We Make Basements Dry! No Nonsense, No Excuses! “Simply put, best in the business. 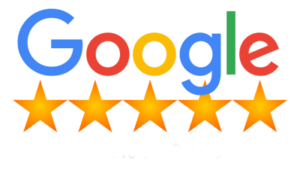 Thorough, professional and pretty clean considering the work being done.” -Michael P.
“This company and the gentleman who performed the work are awesome. Would HIGHLY recommend!”-Joanne R.
I had a new sump pump installed. Dave and Ryan did a great job! Every part of the job went well. They were very friendly and professional. They even did some work that was n0t in the original estimate. And the final price was $50.00 below the original estimate. I’m very happy with the results. Everything is working well. – Paul C.
Dave and his team are great. Very professional and customer service oriented. – Bob M.
The team at Watchman did a great job fixing a water problem in my basement foundation. Fast efficient and professional. I highly recommend. – Mac C.
Great service. Fixed my sump pump quickly and efficiently. Would highly recommend! – Lisa C.
Excellent service, excellent job and excellent after care . Thank you for everything! Highly recommended ! – Yuki I. “Had water in my basement after very heavy rainfall. Watchman was very honest and didn’t try to sell us on an extravagant fix. They came up with a cost effective solution that has completely solved the issue. Thanks!” -Jason S.
“Awesome company! Very professional, organized and clean. Didn’t even look like they did anything in the basement afterwards. The process was very smooth and pricing was competitive. The warranty was a lot longer than most other places we quoted. Will definitely use them again!” -Chris M.